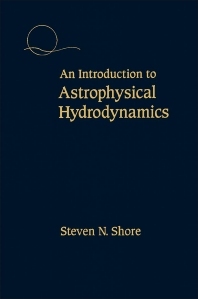 This book is an introduction to astrophysical hydrodynamics for both astronomy and physics students. It provides a comprehensive and unified view of the general problems associated with fluids in a cosmic context, with a discussion of fluid dynamics and plasma physics. It is the only book on hydrodynamics that addresses the astrophysical context. Researchers and students will find this work to be an exceptional reference. Contents include chapters on irrotational and rotational flows, turbulence, magnetohydrodynamics, and instabilities. Upper division undergraduate and graduate students in astronomy and physics, as well as researchers in these fields. The Equations of Fluid Motion. Viscosity and Diffusion. Vorticity and Rotation. Shocks. Similarity Methods. Magnetic Fields in Astrophysics. Turbulence. Outflows and Accretion. Instabilities. Diagnosis of Astrophysical Flows. Problems and Questions for Further Exploration. Appendix: Some real Numbers. General Bibliography. Chapter References. Index.